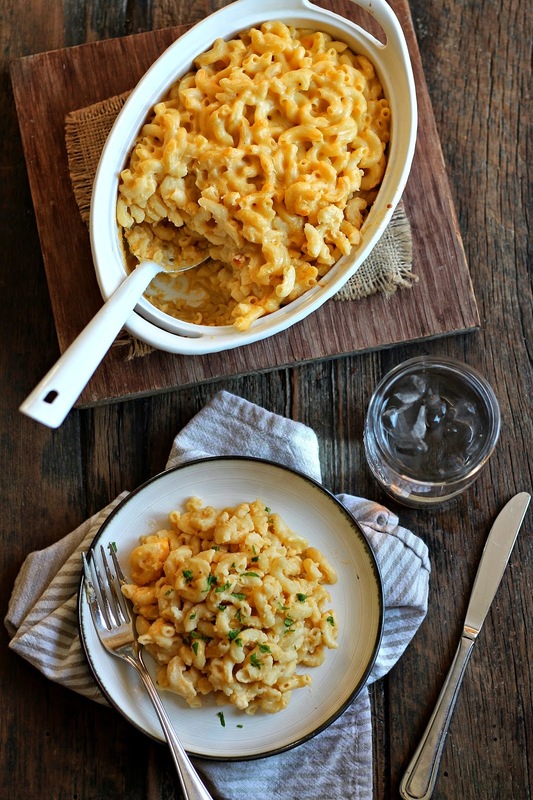 Well my lovelies, I'm gonna save you a lot of time and dub this recipe as the Best Ever Macaroni and Cheese. Ever. I was originally introduced to this dish back in 2000 when I was visiting some friends in South Carolina. Hubsy is a Texan; Wifey is Mexican. This was served with the best damn fried chicken and collard greens on the planet. In fact, I would be lying if I didn't say I had about six helpings. I even ate it for breakfast the next morning. Over the years, I've slowly tweaked it here and there, but it's hard to perfect something that is pretty stellar from the start. This is also my most requested dish. So without further ado, I give you the best macaroni and cheese. Don't fight it. You won't win. In a large pot, bring 6L of water to a boil. Cook noodles for 8-10 minutes or until al dente. Drain water and return macaroni to pot. Preheat oven to 350 degrees F. Grease a 3-4 quart baking dish with a non-stick cooking spray; set aside. Melt butter into macaroni. Add in 4 CUPS cheddar cheese along with salsa con queso. Mix well. In a medium bowl, whisk eggs and evaporated milk. Add salt and pepper and beat to combine. Add to macaroni mixture and stir until fully incorporated. Pour into prepared baking dish and sprinkle with remaining cheese and paprika. Bake for 25 minutes. Remove from oven and serve.